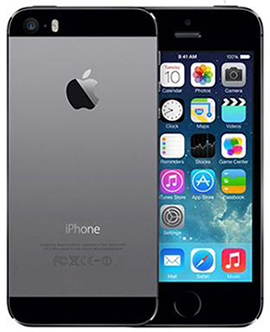 Use our service to Factory Unlock iPhone 5S to work with other service providers without the use of any software or hardware. You wont have to illegally jailbreak your iPhone or cut you SIM card. Our unlocking service is simple, risk free, and can easily be done by anyone from anywhere at anytime without affecting your Apple Repairs and Service Coverage. This is a permanent unlock which means that you can restore your iPhone, upgrade its OS version, and even switch between SIM cards without the risk of your phone relocking again. Once your iPhone is unlocked, you will have the freedom to use any GSM mobile device SIM card from any network provider around the globe. Such ability will help you to periodically switch between networks when needed, save on roaming international charges while traveling, and avoid annual contracts with new network providers. Furthermore, we provide instructional videos to help you understand all necessary steps needed to completely unlock iPhone 5S. We are always happy to help with any questions and guide you through the unlock iPhone 5S process. We are available on phone, chat, and email support 24 hours a day 7 days a week. We have a great experience of over 5 years in unlocking all type of iPhone devices and therefore can guarantee in doing the same for you.